Maine Coast Waldorf high school students Isla Barmby, Nora Goldberg-Courtney, Aniela Holtrop, Grace Kessler, Louis Walker, and middle school students, Alec Benton, Jack Byrne, Ruby Harrison, and Lydia Sharp traveled to Oxford Hills High School to participate in the District Instrumental Honors Festival on January 11th and 12th. The festival is sponsored by the Maine Music Educators Association. 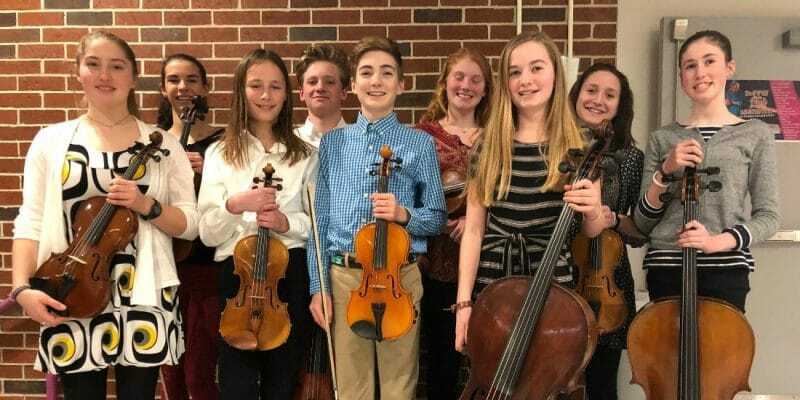 The musicians were selected through a competitive audition process and spent two days rehearsing with notable conductors concluding with a wonderful concert. The students had a wonderful time, grew musically and represented the school beautifully. Congratulations to all!